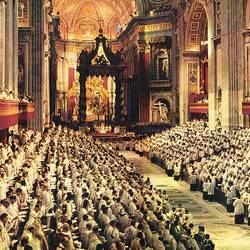 It is nothing new for many people to be passionate about the Catholic Church, whether that passion is directed against the Church or for the Church. However, passion should be balanced with compassion. As a theologian whose special interest is ecclesiology — the theology of church — I try to be aware of what’s going on in and around the church. I try to avoid extreme positions on either side of the spectrum, firmly believing the ancient maxim “in medio stat virtus“, “virtue stands in the middle.” Presuming the truth of that claim, then, we might conclude that “at the extremes stand weakness,” and perhaps even sin. As one approaches the extremes, then, it becomes important to know where the boundaries are, the lines that one must not cross if it is truly truth and virtue that is sought. For this reason I think it is important for us to consider the recent activities of a supposedly Catholic commentator by the name of Michael Voris. I would not normally pay much attention to his work since in the several times I’ve reviewed it, I have found it consistently unbalanced and “over the top.” But I was recently directed to a couple of his most recent broadcasts which seem even more so, and in my opinion, can give us a good example of how passion brought to the extreme crosses the line. So, while I am loath to draw attention to his work on the one hand, I think that we also have a responsibility to challenge such extremism so we can all avoid it in the future. Simply hoping that this kind of thing will just disappear if we ignore it is simplistic, dangerous and naive. 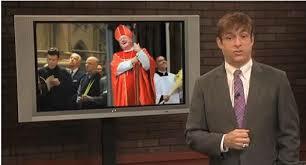 Mr. Voris has recently targeted for particular attention the Cardinal Archbishop of New York, Timothy Dolan. (For full disclosure: I have known Cardinal Dolan for many years, first meeting him briefly when we were both in the seminary, and again more closely during the years I served on the senior staff of the USCCB.) While there may be more videos like these out there, these two will give a sense of what is going on. Watch them here and here. One of my first reactions when I watched them for the first time was what I would do if someone said such things about me in such a public forum! Certainly I would be consulting an attorney about whether such videos might constitute slander or libel. But the legality of these videos, at least under US law, is a matter far beyond my qualifications or competence. I can only examine them as a theologian, so let’s begin by highlighting just a few of the claims Mr. Voris makes in the videos above. 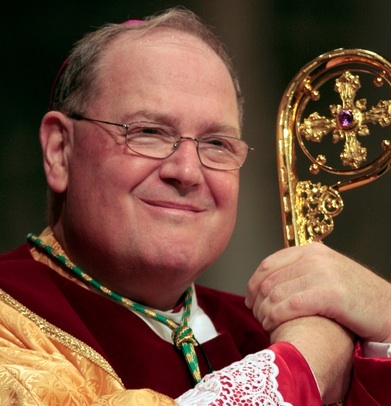 Cardinal Dolan is accused of being “a wicked bishop”, of being “under the grip of the devil.” He is accused of not caring for or loving the Church, and that he apparently no longer believes in Hell. He is accused of “giving your blessing to a group publicly celebrating their sin,” and that “you give your approval to mortal sin. . . You give active homosexuality a free pass in your Archdiocese.” Then Mr. Voris expands his list of complaints, accusing Cardinal Dolan of not supporting “faithful Catholics.” He has, according to Voris, never publicly condemned Islam as “a heresy and a false religion that does not have supernatural faith.” The Cardinal, he claims “has been a non-stop source of scandal” and is “not fit to be a bishop.” Voris wants the Cardinal and any other bishops who agree with him (the Cardinal) to repent their sins and resign their office. Where to begin? While reasonable people might certainly disagree with the actions of any bishop, just as one might with any leader, one must certainly stop there, without going on to try to infer motivation or motive. I am sure that if Cardinal Dolan were asked about these things, he would completely and fully reject all of these assertions, and with good reason. 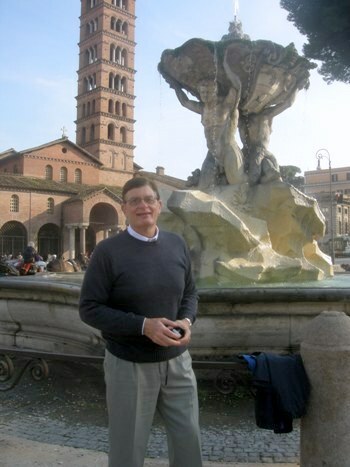 To lump together, as Mr. Voris does, sexual orientation and sexual activity is to miss an important distinction made in the teaching of the church. Nowhere has Cardinal Dolan ever sanctioned sinful behavior by anyone, nor does the record indicate that he has ever given anyone a “free pass” on sin of any kind. There is no substantiation of any kind for a claim that the Cardinal has lost his faith, or that he is not striving to provide for the cura animarum of the people of New York — all the people. To spring from a criticism of certain decisions into a full blown attempt to characterize another person’s intentions and motivations — much less that state of that person’s soul — is not only fatally flawed logic, it is seriously deficient in Catholic morality. But perhaps most disturbing is the challenge offered by Mr. Voris toward the end of the first video: “Do not think that the punishment visited on you will not be the most severe when you die, perhaps even before you die, if you do not change.” He then cries, “Now is the time for an authentic Catholic uprising.” For me, these statements are most disturbing and downright frightening. I suppose coming from a person whose website is called “Church Militant,” this should not be surprising. Still, couched in such militaristic tones and context, one could easily infer a call to physical violence against the Cardinal and other bishops. The last point I wish to highlight is the claim made in the crawler at the bottom of the video. It is an advertisement for a paid subscription to the site, which professes to be “100% faithful to the Magisterium.” I must confess that when I first saw that claim, while watching the video and its assertions about Cardinal Dolan and other “wicked bishops,” I laughed out loud. 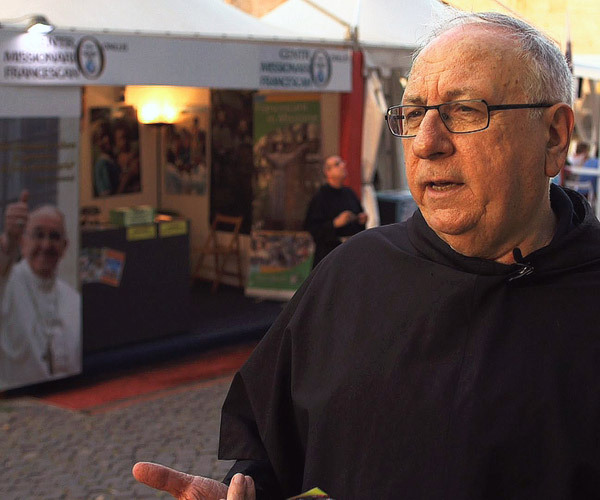 How a person could claim to be completely faithful to the teaching authority of the Church while at the same time denigrating those men whose ministry includes being authoritative teachers of that Magisterium is simply nonsensical. The Magisterium is not simply a “who”; it is a “what.” Magisterium refers to the teaching authority of the Church, a Church we believe guided by the Holy Spirit. Every person, in some way or another, and in the broadest sense of the term, participates in this teaching authority, constantly learning and sharing this faith. 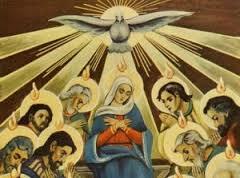 Think of parents, for example, teaching and forming their children in faith, as they are charged at baptism; they are part of the magisterium in this broad sense. But in a very specific and particular way, the highest human teachers in the Church are the College of Bishops, always in communion with each other and with the head of the College, the Pope. Unless and until an authoritative judgment is made by the College (always in communion with the Pope), or by the Pope himself, that a bishop is no longer part of that College, then the bishop in question remains an authoritative teacher. It is not within the competence of someone else (like Mr. Voris, or myself) to judge when a bishop is no longer teaching authentic or faithful doctrine. In fact, I will go further and suggest that, if there should be a presumption of veracity and accuracy in presenting the Church’s teaching, that presumption goes to the bishops, not to anyone else. 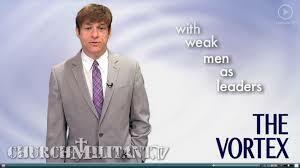 Put simply, Mr. Voris is neither qualified nor competent to make the judgments he is attempting to make. Do bishops disagree with one another? Of course they do, but not about the fundamentals of the faith. 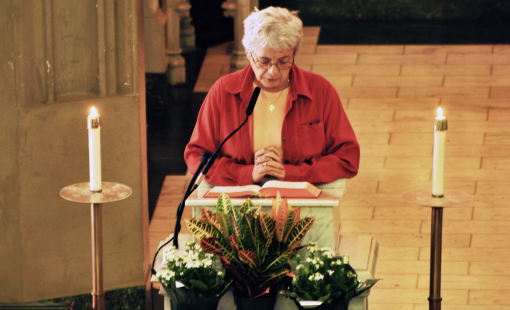 They may disagree over pastoral strategies, over how a particular situation will be dealt with in their diocese, and they will be certainly be judged on the exercise of their ministry when they stand before God. But disagreement in practice does not necessarily mean a break in communion. Am I saying that bishops never make mistakes? Of course not! Bishops make mistakes just like the rest of us, and they also deserve the benefit of fraternal correction. Some bishops commit crimes and should be held accountable under civil, criminal and canon law. But no one has appointed any of us to take the place of God in judging us all for our sins. Alone we will stand before God and take responsibility for the way we’ve lived our lives. Let’s take just one example from the litany of complaints made by Mr. Voris, and analyze just how wrong he is. He condemns Cardinal Dolan for not publicly condemning Islam as “a heresy and a false religion”. While this may be what he believes, it is NOT what the Catholic Church teaches (remember the claim that he is 100% faithful to the Magisterium?). 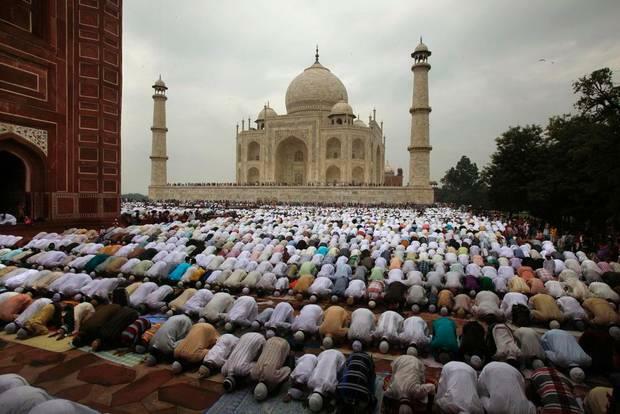 What DOES the Magisterium of the Church teach about Islam? Mr. Voris is entitled and free to make his own judgments about things. However, he is not free to play fast and loose with the truths of our faith or to challenge and mock the legitimate and authoritative exercise of servant-leadership by a bishop in communion with the Church, regardless of his own personal disagreement with those teachings or that bishop. Yes, Cardinal Dolan will someday give an accounting of his stewardship; so, too, will Mr. Voris and the rest of us. 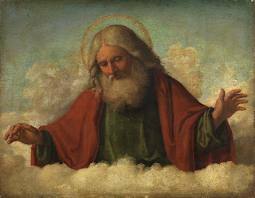 The commandments, “You shall not commit adultery; you shall not kill; you shall not steal; you shall not covet,” and whatever other commandment there may be, are summed up in this saying, namely, “You shall love your neighbor as yourself.” Love does no evil to the neighbor; hence, love is the fulfillment of the law. Echoing Christ’s own summation of the Law, Paul is cutting to the chase. Christ incarnates God-With-Us; God enters into our “real lives”. God is Love, and that Love is incarnate. If we claim to love God, Christ says, we must incarnate Love to “the neighbor”. How do we do that? How do we make concrete that incarnate Love? What struck me about this story is that this is nothing new, but rather a resurgence of some of the most ancient practices of the Church, right there along the very same banks of the Tiber. 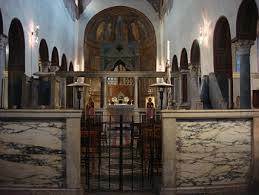 There are churches in Rome and elsewhere that are referred to as “diaconiae”. When I first heard of this term some years ago, I thought initially that these might be referring to the churches traditionally assigned to the “Cardinal Deacons” of Rome. However, their history is far more intriguing than that. While scholars debate their precise origins, these churches began at the initiative of several Bishops of Rome who sent their deacons out to establish centers for relief, food and sustenance, especially in the market areas around the Tiber River, where poverty was greatest. One of the earliest (5th or 6th Century? 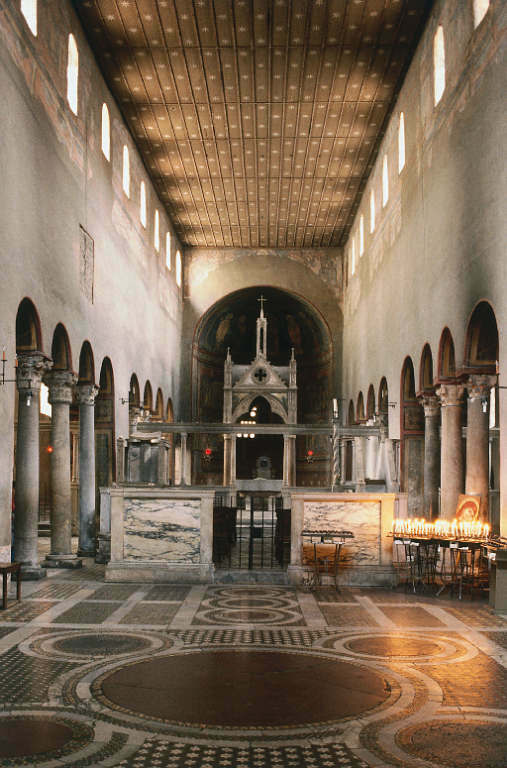 ), for example, seems to have been the famous “Santa Maria in Cosmedin”, but by 800 AD, there were more than twenty-two “diaconiae” in Rome, Naples and elsewhere. 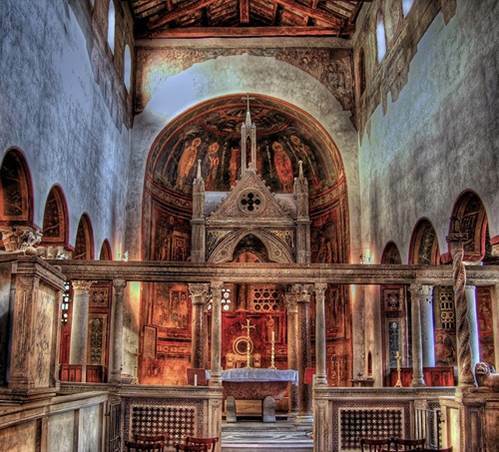 Santa Maria in Cosmedin is an interesting example. 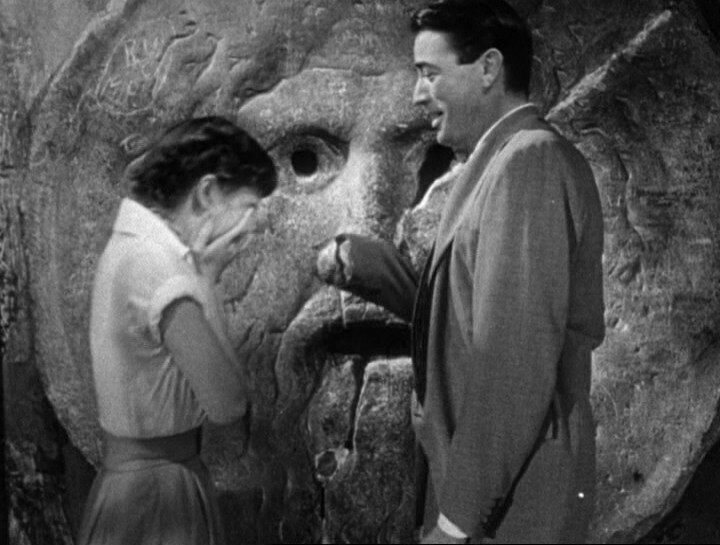 Perhaps most famous for the “Bocca della Verita” (The Mouth of Truth) which is on the “porch” of the Church (made even more popular in this scene with Audrey Hepburn and Gregory Peck in “Roman Holiday), the more intriguing evidence is inside. Archeologists and architects have determined that the church was built in three major stages. The nave was the original structure, a broad covered area where the deacons provided goods and services to the people: think of a kind of warehouse or market structure. Then, after a little time, the deacons decided to add an area where they could assemble in prayer: they added choir stalls at one side of the nave, and included an ambo and next to the ambo, the Paschal Candle (note the traditional association of the Deacon with the Paschal Candle, even at this ancient stage). Finally, the third section was added to the structure: the sanctuary for celebrating the Eucharist. When you enter from outside, you first encounter the nave, then the diaconal section, then the sanctuary. From the Nave, entering deacons’ area: Notice high ambo and Paschal Candle to the right. From the deacons’ area into the sanctuary. To me, this represents a profound reality, and it underscores the “real life” impact of living out the commandment of Incarnate Love. The role of the deacons was to meet people where they were most in need, and to provide for their very real, concrete everyday needs. Think of the naves of our churches today: Do we provide real world care and service there any more? Is it the local “distribution center” for charity? Then consider how, in the model of the “diaconiae”, prayer, worship, sacrifice and communion flow FROM that Incarnate Love. Do we first love our neighbor and then bring our gifts to the altar? Think how revolutionary this would be, if we tried to recover the insight of those early Christians! It makes me sad to realize there are some pastors who think only about the 10 percent who go to church, those who spend all day everyday with the little old ladies in the church, while 90 percent of the people — who make up the periphery — are never touched by the church’s pastoral work. It’s absurd, but the periphery is 90 percent of the people within a typical parish’s boundaries. A friend and co-worker today remarked that every single person who comes to church on Sunday comes with a story, with needs, with struggles that very often we know nothing about. That’s very true; we don’t know the depth of every person’s struggle. But now consider as well: every person who has come into our churches knows at least twenty other people who don’t come to church at all! Why not? Very often it’s because they don’t seen the church as being a place that knows or even cares about their own struggles, so they don’t even bother coming. Look. It’s very simple. How well do we, perhaps especially those of us who are deacons of the church, connect the dots? How well do we meet people where they are “in real life” — and not just where we would like them to be! — and then connect that encounter to the Great Lover, Christ?